Any questions about MaxDataGenius? Check our FAQ! Have you got a question about how MaxDataGenius works? 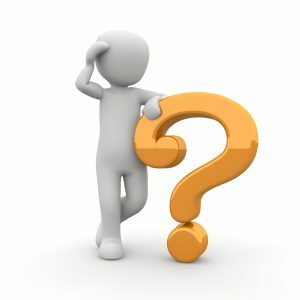 Then check our Frequently Asked Questions (FAQ) – or contact one of our experienced IT experts. Question: I am analyzing a 1 TB hard drive. It says will take 6.5 days to complete and the time keeps going up – not down. How to speed up this process? – make sure your disk is connected to a USB 3.0 (and not 2.0) port (the USB 3.0 ports have a blue contact). – check only the filesystems you really used on the disk. I.e. if you know that the disk was formatted with NTFS, check only NTFS. In this case you should also uncheck “Collect only root items in Formatted Scan (only NTFS)” in the options to collect as many NTFS structures as possible. – especially the RAW filesystem takes much scanning time. However if you are unsure regarding the used filesystem, check RAW as it scans the disk without considering filesystems structures. – if you know that the recovery disk has bad blocks, please create an image and store it on a new disk having at least the same or larger capacity than the recovery disk. 2.) Open the options and take a look at the bad blocks list. If any bad blocks are found, save the bad blocks list and reload it whenever you try to recover data from the recovery disk. Question: I have recovered some MP4 videos, however almost none of them plays? Answer: After recovering MP4 files, it is often necessary to repair them. Try out our Video Repair Software for this purpose. software and others such as Easeus. Answer: Thank you for your feedback. We’re happy that our software could help you out. There will be a Mac version of MaxDataGenius available soon. into small pieces. What’s the best way to recover my files with MaxDataGenius? Answer: You can see how it works on our website (http://grauonline.de/cms2/?page_id=126). It often occurs that video files in formats like .mov or .mp4 cannot be restituted to a full extent. In this case, it might be neccessary and helpful to repair them with the Video Repair Tool which you can also find on our company website. In order to correctly repair video files, it is important to relate to a a test file from the same camera. Question: I am searching for a tutorial for MaxDataGenius. Can you send me a link where I can find one? Answer: You can find a MaxDataGenius tutorial at www.grauonline.de/cms2/?page_id=126. Question: What can I do if MaxDataGenius does not recover a number of missing files? Answer: Hi, I’ve run the MaxDataGenius and it’s not recovering as many files as I thought it would. Is there is there any way to enhance the scan? I don’t really understand the reconstruction of RAID etc. but I’ve been trying to recover old photos and videos from my university period and not being too successful. Some of the photos only show 20-50% of the image and most of the videos need to be repaired, which i’ve gotten okay at. Some images are 1.5 gigs big and seem to contain video content. If i repair them they run a .mov but not a lot shows? I hope you can help me out. Answer:In general, you can find a MaxDataGenius tutorial on our website. 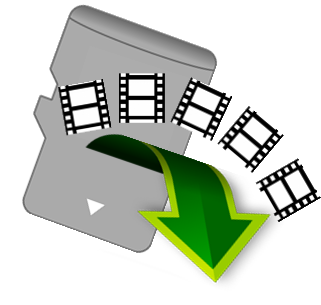 It often occurs that video files in formats like .mov or .mp4 cannot be restituted to a full extent. In this case, it might be neccessary and helpful to repair them with the Video Repair Tool which you can also find on our company website. In order to correctly repair video files, it is important to relate to a a test file from the same camera. Question: I’am in need for one of four deleted files on camera card. When scanning results, I can only recognize a lot of numbered movs without any relation to the former and now deleted file names. When I am trying thumbnails I do not see any pictures. When I am trying to open a saved file, which I can only save three of, it is lottery if I select the right one. I’ve tried this and the /appData/local/mpd/ cannot be found ? I have bought Stella and found out that it did not Work so I wont to try yours as it looks good. Answer: In such a situation, we usually recommend our customers to save all the data within a certain file first. Then you can take a look at them with the help of a video player. In the end, it is helpful to repair some relevant, big files using our video repair tool.